Trick stick with which you control the twists and turns with the flick of your wrist. 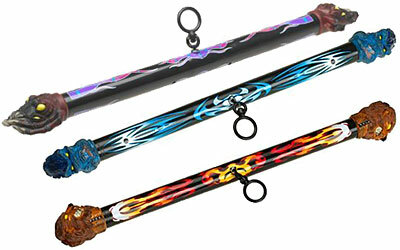 Shaped like a stick, Yo Stick includes a yo-yo like mechanism that automatically retracts the string. Includes themed caps on each end.